Don't lose your holiday sales momentum. Instead, take advantage of your marketing highs. 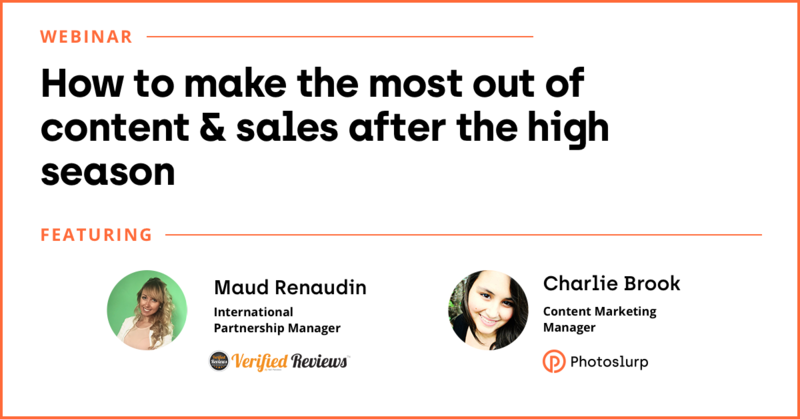 Access our discussion on how to make the most of your content & sales after the busy season. Featuring Verified Reviews & Photoslurp. Fill in this form to access our webinar!